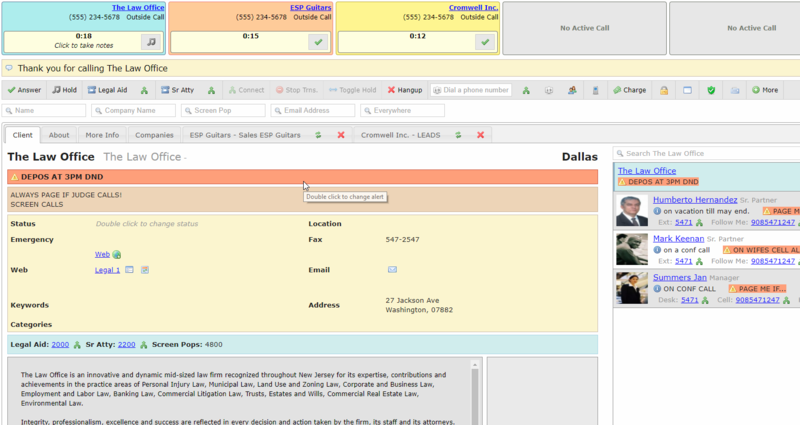 HostedSuite is a cloud based management tool for shared space locations, virtual call centers and executive suites. It includes an industry leading operator console, web based scheduling platform, and client portal. HostedSuite has been designed with leading business centers and call centers around the world to be intuitive and easy to use. HostedSuite is a 100% web based cloud application. Simply open a web browser to start answering calls, scheduling meeting rooms, and running reports. HostedSuite’s operator console is a responsive, browser based attendant console that allows your operators to quickly and efficiently handle your clients calls. HostedSuite has built in location awareness so that you can keep track of multiple centers, clients, meeting rooms, services, etc. 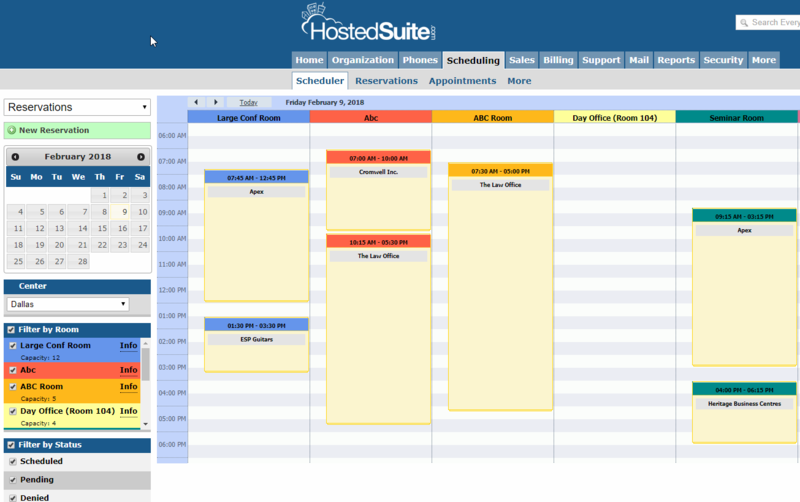 HostedSuite allows you to quickly schedule your meeting room inventory. You can manage all of your upcoming reservations quickly and easily. HostedSuite includes a built in support ticketing system so that you can track all of your client problems from a single location. Our first priority is keeping you happy. We are always available to help you out with any questions or problems you are having. One of the first questions anyone asks us is “how much does it cost”. And we’re happy to start there because we are easily the most cost-effective reception solution that you are going to find. Our reception solution costs less than your business will spend on coffee every month and actually has features built-in to help you use our software to generate additional revenue. The bottom line is that you’ll never pay more than $299.00 per month to utilize our software at your location and the price goes down from there based on volume. We have never raised our prices for existing customer – ever, and there are no contracts, upfront fees or additional support costs. Regardless of how well our software fits your business, it has to fit seamlessly with your existing or planned communications platform. Evo.Tech is compatible with every major phone system in use from Asterisk and Avaya to Cisco, MiTel, ShoreTel, Nortel, SIP based systems, TAPI based systems and almost everything else in-between. Chances are, Evo.Tech is compatible with your past, present or future communications platform, right out of the box. We’ve said before, no product, no matter how great, is better than the support that stands behind it. Evo.Tech’s world class support team is here twenty-four hours a day, every day. No breaks, no holidays, our team is here to support you with a fifteen-minute response time – 365 days per year with no additional costs or contracts. 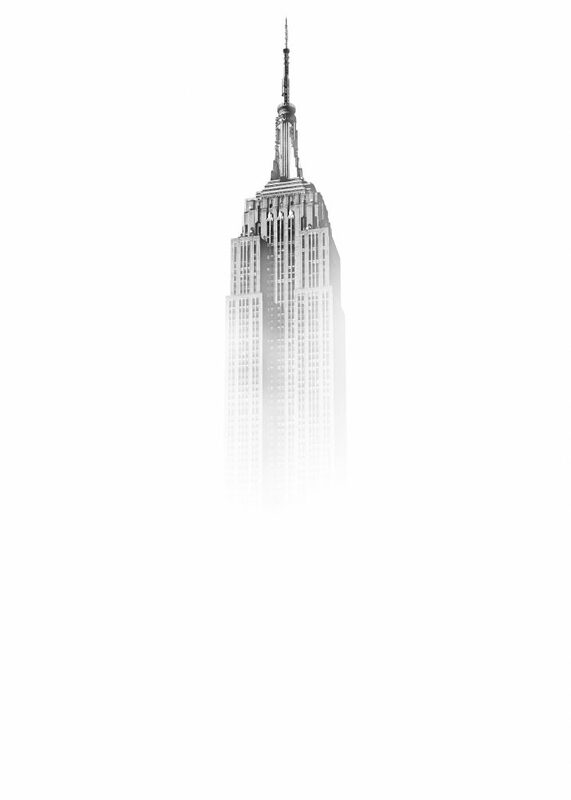 Our API can help you integrate Evo.Tech with multiple third-party platforms for billing, data and booking integration. One of our trainers will schedule with your staff to conduct up to three separate training sessions. The first two focus on the end user interface and backend configuration including conference room scheduling and database management. A third session can be scheduled to cover or review any information your staff may have questions about. We recommend that your staff attend the initial training and use the software for a period, then schedule the third training as a Q&A session. A billing specific training session is also provided for clients that utilize our QuickBooks integration. All training sessions are recorded and provided to your staff for future review. These screenshots show some of the functionality that comes bundled in the HostedSuite package.